Apple's iPad lineup got bigger and more expensive than ever in 2017, with the introduction of new high-end Pro models. But the company also pivoted and introduced a budget-priced 9.7-inch model that marks the most affordable entry price for an iPad ever. The combination helped sales return to long-awaited growth. When the first iPad launched in 2010, its $499 starting price was seen as much lower than expected. Still, for some, it wasn't low enough. As consumers found that an iPad could not yet completely replace their laptop, the market clamored for cheaper options, suitable for basic tasks like browsing the web or watching videos. Apple appeased those buyers with legacy models at lower prices, as well as the 7.9-inch iPad mini. But it wasn't until 2017 that the low-end iPad really came into its own with a full-size, no-compromises 9.7-inch model, aggressively priced at $329. Featuring a Retina display, Touch ID, and an A9 processor, it was arguably the best dollar-for-dollar value in the company's entire product lineup this year. On the high end, meanwhile, Apple's iPad Pro lineup got pricier than ever. 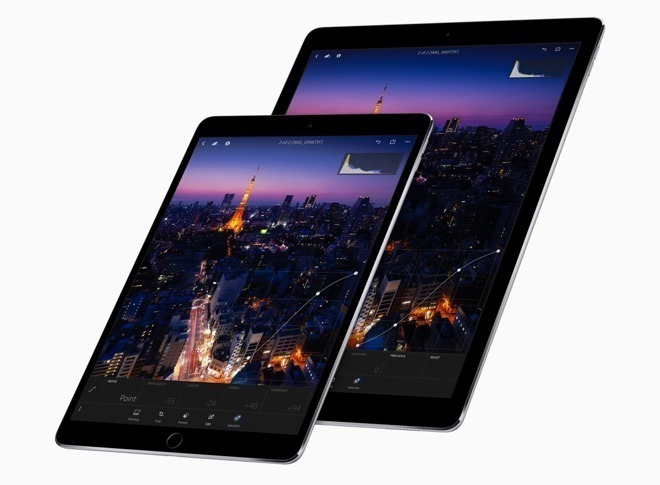 The smaller iPad Pro model gained a slightly larger 10.5-inch screen with reduced bezels, and both it and the 12.9-inch versions saw their entry-level capacities boosted to 64 gigabytes, deserving of the "pro" moniker. Now, the cheapest iPad Pro model comes in at $649 for 64 gigabytes —considerably more than that $499 starting price introduced nearly 8 years ago. 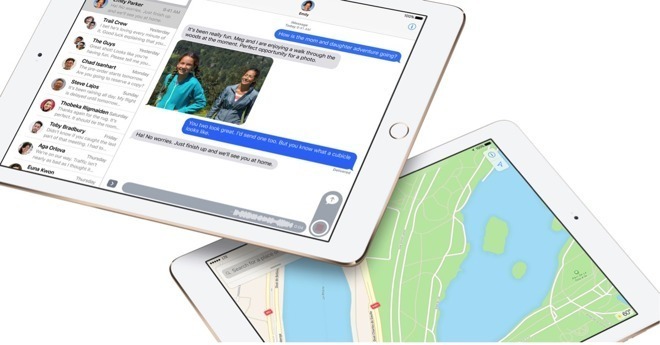 A funny thing happened as Apple sent the iPad in two different directions: Sales rebounded. Facing years of declining sales, the iPad turned it around in 2017. Things got a boost in March with the debut of the $329 model, and then were further bolstered a few months later in June with two new iPad Pros. Starting with the June quarter, iPad sales grew to 11.42 million units, up from 9.95 million in the same period a year prior. That finally turned around years of iPad sales decline. It's hard to say definitively why 2017 was the year that things turned around for the iPad. 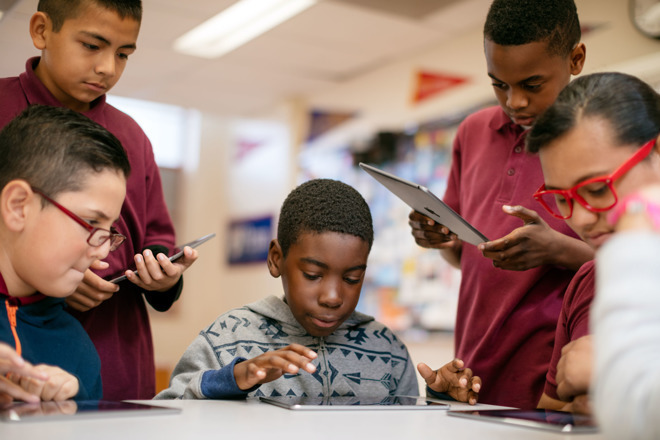 A popular theory is that users hang onto and use their iPads longer than phones, with a 4-to-5-year lifespan more akin to a Mac or PC. Given that the iPad 2, which was a blockbuster success, no longer supports the latest iOS releases, it could have helped to inspire upgrades. In particular, this year's release of iOS 11 was huge for the iPad, bringing improved multitasking, the new Files app, drag-and-drop support between apps, and a revamped app dock that's more Mac-like than ever. It's also possible that Apple's new pricing strategy and hardware options made consumers feel like this year was the right time to upgrade. The truth is probably somewhere in the middle, but the end result is the same: The iPad is on the upswing once again. How does Apple keep the momentum of 2017 going into next year? Continue to innovate, of course. With the introduction of the iPhone X and its Face ID camera, as well as the absence of the home button, it's likely that similar changes are around the corner for the iPad Pro. Rumors suggest the iPad Pro lineup could get the Face ID treatment in 2018, complete with thinner bezels and the elimination of the home button. Those changes could allow next year's iPads to be lighter and more portable than ever for their respective sizes. As for the low-end $329 iPad, don't be surprised if the hardware isn't refreshed next year. The budget tablet was outfitted with capable components in 2017, which would allow Apple to take the same approach it did with the iPhone SE, leaving the device largely as-is for a few years. One direction Apple could go, however, is further price cuts on that model. Already, resellers in the AppleInsider Price Guide offer the 9.7-inch iPad for as low as $300, and some rumors have suggested Apple could get costs down low enough to sell the tablet for about $260 in 2018. If the high-end iPad Pro gets better and the low-end 9.7-inch iPad gets cheaper next year, then Apple will just be pushing what has already proven to be a winning strategy: A two-pronged attack that's resonating with consumers who have very different tablet computing needs.